teammates, opponents, officials and fans. and play by the rules of the game. to react appropriately to winning and losing. before, during and after each contest. to promote sports and the positive aspects of sports. Concussion Discussion - Click Here! 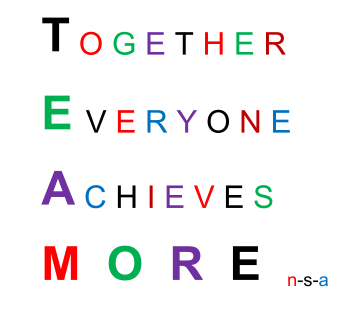 N-S-A strives to PROMOTE FAIR PLAY at all levels in all areas of competition. N-S-A also pledges to advocate rules to PREVENT CONCUSSIONS and OTHER INTENTIONAL INJURIES. Strive to promote the positive aspects of sports. Members also pledge to refrain from cheating, bullying, discriminating, injuring, arguing, taunting, showing displeasure, using obscene language or gestures and berating others. 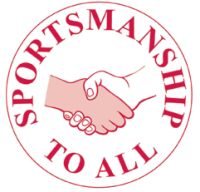 Sportsmanship provides the essential elements in making competitive activities more enjoyable for everyone. If you believe in Sportsmanship, Join N-S-A now. Be a proud member of the greatest organization in the world whose main purpose is to promote Sportsmanship. Join the growing numbers of the NATIONAL SPORTSMANSHIP ALLIANCE and help to make our world of competition a better place to live and play. An N-S-A membership is also a great gift idea for a friend or family member! A one-time fee of Two Hundred dollars ($200) will buy a Lifetime Membership and a white "Members Only" pullover, Join N-S-A now to help prevent concussions, Click Here!. Every day we meet and/or see people who treat others unfairly, especially on the athletic fields. Members of the NATIONAL SPORTSMANSHIP ALLIANCE promise to respect others, play by the rules, act appropriately, exhibit fair play and promote sports and the positive aspects thereof. Members also pledge to refrain from cheating, bullying, discriminating, injuring, arguing, taunting, showing displeasure, using obscene language or gestures and berating others. Because SPORTSMANSHIP requires good conduct and fair play in competitive and/or non-competitive activities, SPORTSMANSHIP transcends and enriches every aspect of life. A “good sport” is not only a better player at his or her chosen activity, but also a better person in the community, a better driver on the road, a better parent in the home, a better teacher in the classroom, etc. As I believe in “strength in numbers,” I invite you to join the NATIONAL SPORTSMANSHIP ALLIANCE to make our world of competition a better place to live and play.